This letter is from E.A. 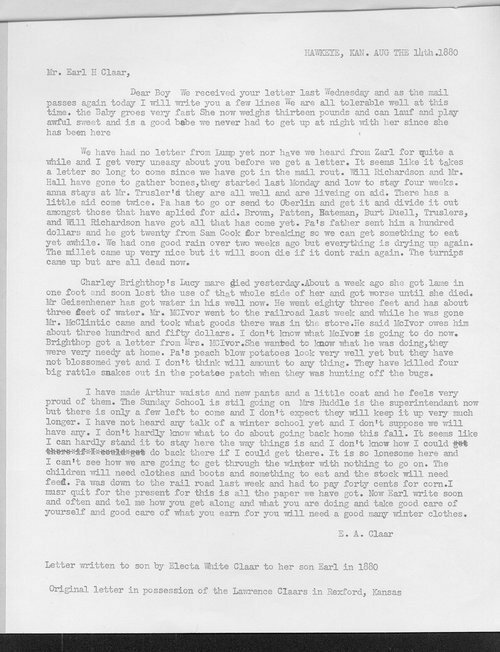 Claar, Hawkeye, Kansas, to her son Earl H. Claar. In the letter, E.A. writes of the hardships that occur during settlement. From having little to eat, having little to wear, and being lonely, Ms. Claar doesn't know how the family will make it through the approaching winter. This is a typed copy of the original.